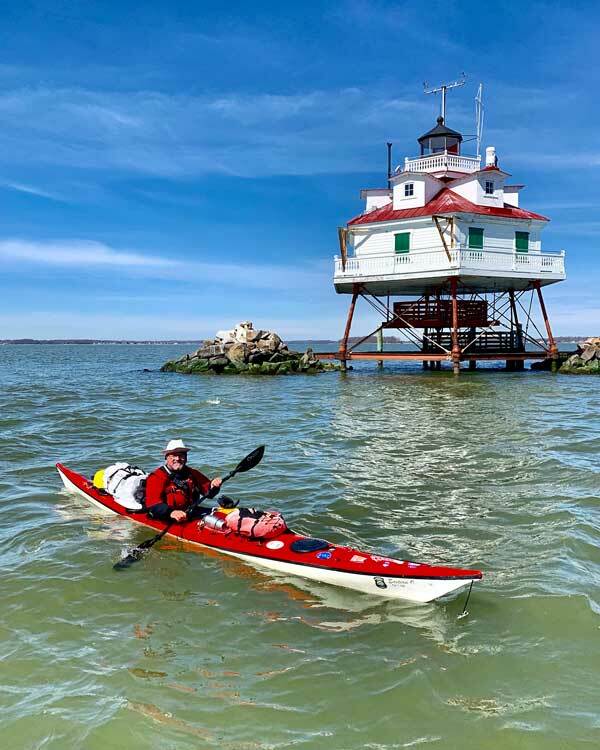 Steve Chard is a 61-year-old kayaker from England who is currently paddling the Great Loop in his kayak, in order to raise money for nine British, Canadian, and American charities. Steve is a Royal Navy submarine veteran. The Great Loop is a roughly 6000 mile circumnavigation of the Eastern United States and part of Canada, and includes the Atlantic Intracoastal Waterway, the New York State Canals, the Canadian Canals , the Great Lakes, the inland rivers, and the Gulf of Mexico. Most "Loopers" complete the journey on a powerboat, and typically spend about a year on the route. Others undertake to do the Loop in segments, cruising for a few weeks or months, then returning home to take care of business. The Great Loop is generally done counter-clockwise, so that you are going with the current, not against it, on the inland rivers. Steve began his journey in Nova Scotia in June, 2018 and has traveled about 4000 miles so far. 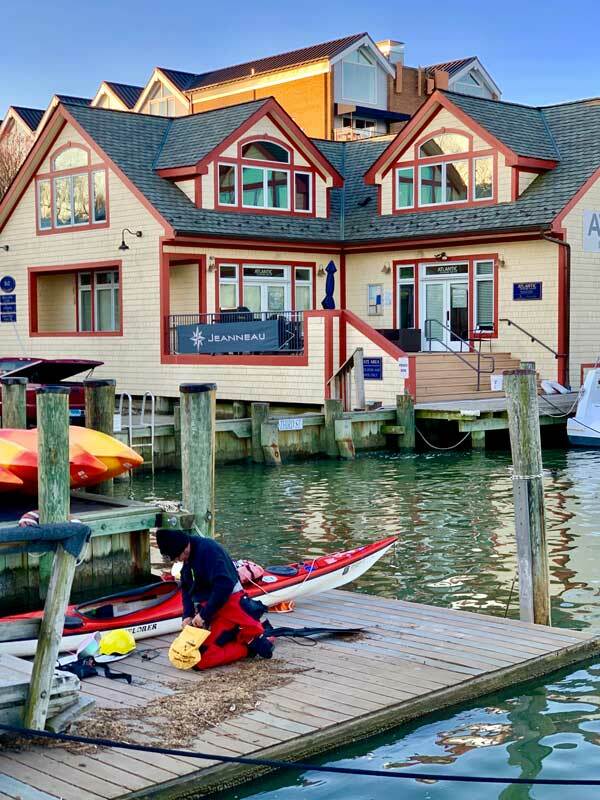 He recently made a stopover in Annapolis, and was hosted by our April PropTalk cover photographer David Sites. In the video below he's making his way up the South River to David's house for the night. David tells us that Steve is looking for hosts along his journey who could accommodate him for a place to sleep overnight. You can learn more about the charities Steve supports, his journey, and how to host him for a night on his Facebook page, Kayak the Great Loop - Paddle With Steve. Currently, Steve needs hosts as he exits the C&D Canal and heads down towards Cape May, NJ. Best way to reach him is on his Facebook page.